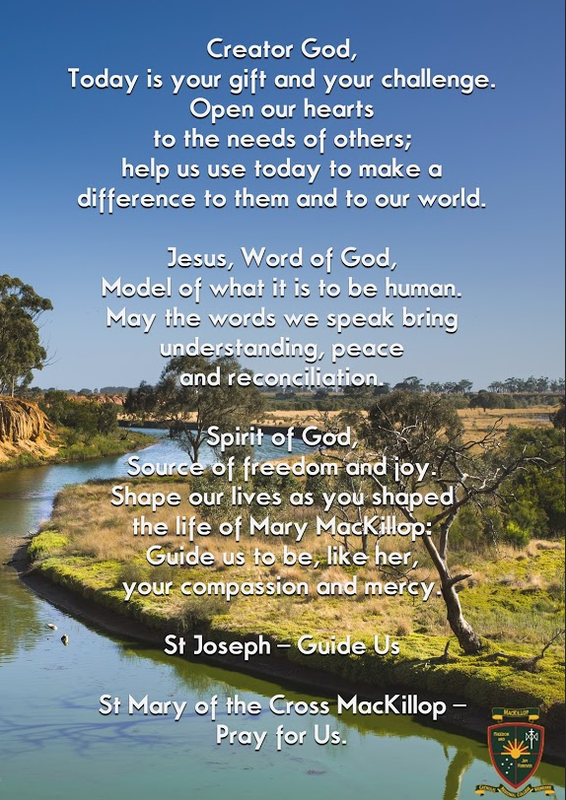 MacKillop College has specific prayer, written for our school community of Werribee. This prayer has been developed with the intention that over time the prayer will be learnt by the entire school community, and as such will be said at significant MacKillop events such as assemblies, parent information nights and other school celebrations. The prayer is Trinitarian in structure and includes words and phrases important to the charism of Saint Mary MacKillop of the Cross. The prayer also includes Saint Joseph, who will now be mentioned in prayers said throughout the college. Saint Joseph was a significant influence on Mary MacKillop and was the name sake of her order of nuns: The Sisters of Saint Joseph of the Sacred Heart. As the ‘protector of the dignity of women’ we believe Saint Joseph can be a model for us in how we live our lives.